Thank you for considering a career in pre-hospital emergency care. South Africa has a great need for skilled, qualified emergency care providers. The profession has grown enormously over the last 25 years. It can no longer be considered a job, but rather a professional calling. A commitment to patient care, professional integrity, and lifelong learning is vital to success in this career. Certain universities offer a four-year Bachelor’s degree in Emergency Care (BEMS). Graduates of this program are qualified as Advanced Life Support practitioners able to provide the highest level of pre-hospital emergency care available. Contact the university of your choice for further information on costs and entrance requirements. A two-year National Certificate is also available, the Emergency Care Technician (ECT) course. This qualification is also offered by certain institutions and graduates will work under the indirect control of a BTech paramedic. 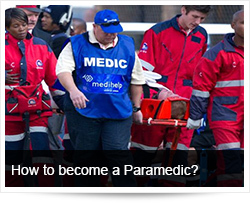 ER24 / Mediclinic offers the ECT course in Cape Town. Please note, the short course route of training is in the process of being phased out. The entry level qualification (BAA) will no longer result in registration from January 2018. ER24 Training no longer offers this course. Duration: a Four-month course that builds on the foundation laid during the BAA course. The mid-level course is currently still accepting applicants but will be phased out by December 2019. ER24 is still offering this program in Paulshof, Johannesburg. Duration: an Eleven-month course that qualifies successful candidates as Advanced Life Support paramedics. The highest level of short course training. This advanced qualification is no longer offered. Only those currently registered on the programs will complete within 2017. Which route should I choose? This is a personal choice which will depend on many factors including academic performance, finances, location and personal preference. Many candidates who have recently matriculated, have the required academic record and can afford to attend university full-time for four years choose the degree route. Short course training has been discontinued in favor of higher education standards as mandated by the Minister of Education. Only the mid-level AEA program is continuing until 2019. One should consider school subjects very carefully as entrance into the programs requires Maths, Science and or Biology with a score of 60% and above depending on the institution. A good level of fitness is required with most institutions requiring a physical assessment that includes swimming. There are two major employers in the emergency services industry, namely the government and private emergency services. Minimum requirements are typically HPCSA registration as a BAA, a valid driver’s license and a Professional Driving Permit (PDP). There is currently an oversupply of BLS providers in the country. BLS practitioners may need perseverance and commitment to secure full-time employment in the industry. There is a significant demand for ILS and ALS providers. As such, the demand for training in these areas is high. Please note that the ER24 Training Academy does not facilitate employment, and completion of one of our courses do not imply automatic employment with the company. 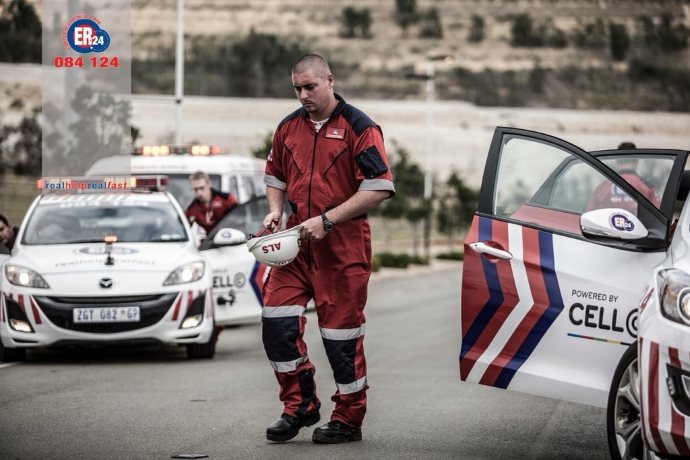 ER24 does not have a volunteer program. Registered professionals may be employed on a part-time basis to fulfill a specific need at a Branch. Please contact the Branch Manager at your nearest ER24 base should you be interested in part-time work. The Health Professions Council of South Africa (HPCSA) governs the standards of all medical training in South Africa. Their website contains a list of all institutions accredited to run emergency care training.